Even though the Unist’ot’en territory is not my home, over the years I have come to feel at home there. I have been welcomed onto the territory and it has been a healing welcome. 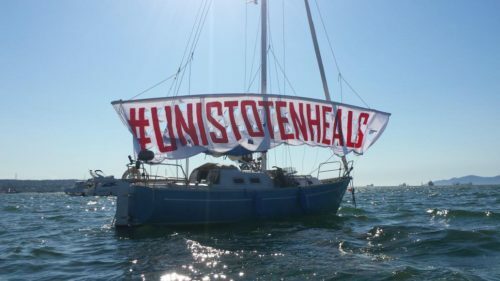 And, if the land holds stories, I am hopeful that the Unist’ot’en’s story will be the narrative that continues to unfold as we continue to resist the destructive “ceremonies” of colonialism and capitalism that would see the destruction of Unist’ot’en land and life.